I'm sure this bridge will be featured in ProMods sometime when they reach Narvik. Hålogalandsbrua(Hålogaland Bridge) is mostly completed. It will be opened around the summer this year. today's E6 is faster if you are heading towards Sweden on E10. 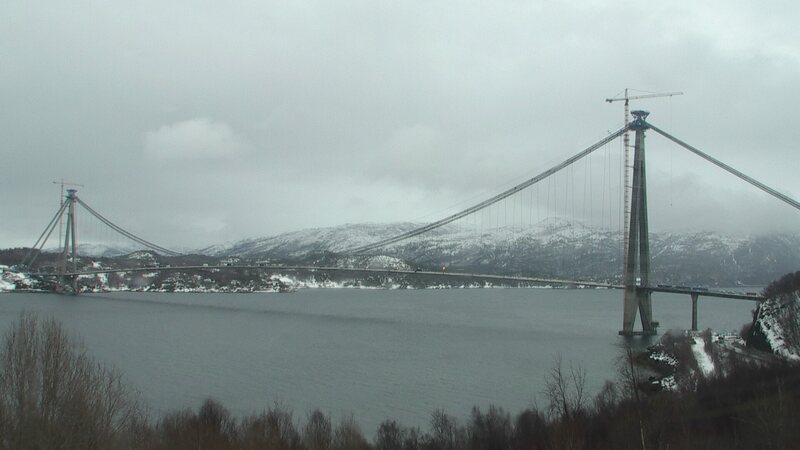 Here is a very recent photo of the bridge, and there is a webcam that is updating every 15 minutes. That of course depends what you mean by coming from the south and going north. Travelling from the west coast (Bergen or Stavanger) to Hammerfest in Finnmark, we save 3-4 hours (depending on the ferry Drag - Kjøpsvik, which only departs every 2 hours) by driving through Sweden rather than E6. The 15 minutes saved with Hålogalandsbrua will not change our preferred route . Although it is of course a welcome bonus when we have to drive domestic for whatever reason (has to do with which load we carry). Chris94_NOR, thank you for the picture of Hålogalandsbrua. I know it is being built, but I forgot to check how far they had come. The new "or newish" E6 / E8 intersection"s" are interesting, maybe hard to fit ingame, but would be nice to have ingame, I think. Wishlist: Axe the Kirkenes Harbour and replace it with.... Hammerfest Harbour, for example, if not too late? Its a map of the full Russia country? Like, a standalone map working with promods or we need some russia map for get it worked? RusMap has some areas reworked in Russia. This is a project included within Promods. If you have Promods installed, these areas will be there too. The scope of this project doesn't go further than the Murmansk region. Hi! Thanks for those links! Here is my mod orders, could you please guid me for have the correct order with the russia map? In version 1.30.